The production and use of traditional gasoline-powered cars have a huge environmental negative impact. The pollutant emissions from our cars contribute to unhealthy air and are the major cause of global warming by trapping solar energy in the atmosphere. In addition, these vehicles affect the environment by creating noise, which can disturb work, relaxing and sleeping. In this context, electric vehicles represent the future – they can be powered by electric energy produced from many different sources and don’t have a combustion engine that burns gasoline and produces CO2. Tesla Motors company was founded with the mission of accelerating the world’s transition to sustainable energy. The company’s main purpose is to prove that electric cars can be better than powered-gasoline cars. Tesla Model-S project’s objective is to develop a premium electric sedan vehicle that competes with brands like BWM, Mercedes, and Audi. The Model-S should prove that an electric car can have, at the same time, electric powertrain, attractive design, and high performance. This project follows Tesla Motors’ business plan to expand downmarket from the high-performance Tesla Roadster sports car. Total project planning will be divided into 9 subsidiary plans, as detailed below. This planning will be initiated on October 24th, 2016, and it’s expected to finish on March 03rd, 2019. The total budget allocated for covering all planning activities is $ 30,000,000. All the items that are procured for the project will be under FFP (FRIM FIXED PRICE). For each item to be procured concerned person is responsible for making the purchase per the FFP contract type since the manager has a limited budget we are adopting FFP contract type now the seller is responsible for product submission within the limit of time and cost. The manager must ensure the correct scope of product achieved or not. Software needs highly skilled labors, servers, and equipment that we don’t have it. The manager must identify the risk involves in the procurement of the product or service. for each identified risk the manager should make a mitigation plan by taking the expert legal judgment and make a proper documentation of each identified risk add it to risk management log. This project involves multiple contracts so the manager should do check for interdependencies of activities so one risk response plan might not trigger the other risk. Once the bidder is confirmed send the formal letter of acceptance, and invite them for negotiations. Held a meeting with Infosys business analyst, explained each other term and conditions of contract and project requirements. List of activities and time frames mention in the procurement management plan given to the contractors. Procurement department contract manager, project manager, and Infosys must follow the given communication management plan. Contract management plan prepared by the project manager signed off by the Infosys Inc. Obtain all required Insurance Certificates. For the identified risk, insurance obtained from TD bank per the budget. A bank guarantee obtained from the Infosys in the case of irrevocable payment due. The main risk for touch screen task is end user bugs, hiring automation tester is the contingency plan for this. meeting and handed over all risk, quality, scope and contract document. Future meeting schedule also submitted. After meeting facilitated on 22nd February BA gone through all the documents Tesla produced and agreed on 26/02/2017. The audit will be performed by Tesla’s audit committee to confirm that all the standards & procedure agrees on followed and the result of it will be sent to Infosys. During the audit, if any new risk identified or any breach of the agreed terms in contract found, it must be communicated to risk department. All the deficiencies and defects found must be discussed with Infosys to agree on to fix the issues found in software. Contract manager should be prepared the agenda of the meeting and must inform Infosys with the invitation. If any actions required by Tesla or Infosys, it should be recorded in the minutes of meetings. A copy of minutes of the meeting must be forwarded to Infosys prior of meeting and should one week ahead. Upon receipt of claims ensure that works completed are in accordance with claims. Contract manager will check performance and standards of each product. Recording of audit results to be done in order to keep the results for future reference. Meetings discussion will help to improve the quality of product and its performance. Conduct annual review of nominated KPI’s with Contractor to ensure continued relevance to the delivery of services including any changes to scope etc. It will be useful to keep a record for future procurement that the KPI’s for the product is are always matched or implemented without any exclusions. With service contracts, be aware of nominated notification periods to the contractor as to Council’s intentions to extend or not. As per agreement contract manager will notify to the vendor before 3 months if they require extending procurement. Tesla’s contract manager should plan with the involvement of Infosys that how and when the expiration of contract will take place. This meeting will be held by Tesla to combine the actions of Infosys with them before closure of the contract. Tesla must be verified that all the intellectual properties of the software must be transferred to them by Infosys as per the contract. It is the duty of contract manager to make sure that Infosys finished all the work as per the contract and nothing is outstanding before moving to closure. As per the contract established with Infosys, any work found below standards or incomplete, there will be a deduction in payment. 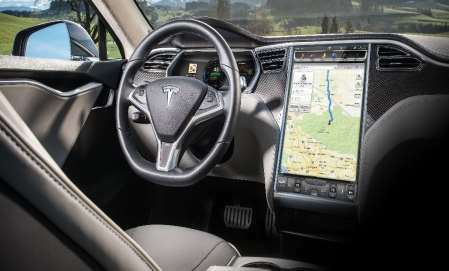 Tesla motors asked for separate application within the android that could support the 17’inch touch screen. For this task, Infosys is awarded FFP contract, now after all negotiation and contracts signed. Now, Tesla proposed the new operating system for the same time and cost instead of the android application. For the android application, the end user may need extra security to protect the application. It may crash because of “malware”. Will the variation be at an additional cost to original contract amount? Infosys agreed to the change, but the production cost increased as per their quotation. "Development of an Electronic Car." UKEssays.com. 11 2018. All Answers Ltd. 04 2019 <https://www.ukessays.com/essays/project-management/development-electronic-car-8851.php?vref=1>. "Development of an Electronic Car." All Answers Ltd. ukessays.com, November 2018. Web. 20 April 2019. <https://www.ukessays.com/essays/project-management/development-electronic-car-8851.php?vref=1>. UKEssays. November 2018. Development of an Electronic Car. [online]. Available from: https://www.ukessays.com/essays/project-management/development-electronic-car-8851.php?vref=1 [Accessed 20 April 2019]. UKEssays. Development of an Electronic Car [Internet]. November 2018. [Accessed 20 April 2019]; Available from: https://www.ukessays.com/essays/project-management/development-electronic-car-8851.php?vref=1.